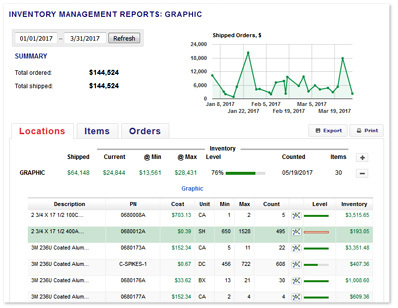 Our NEW & IMPROVED Inventory Management Solution combines advanced technology & professional services that allow you to purchase & manage your inventory or allows a dedicated R.S. 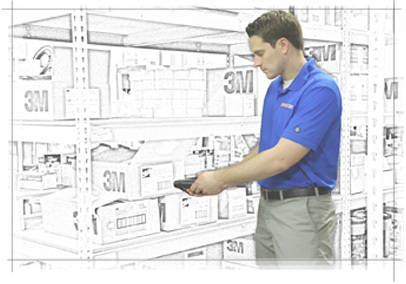 Hughes professional to monitor & replenish your inventory for you. A NEW Mobile App and Web based reporting suite is included for full visibility, tracking & transparency. 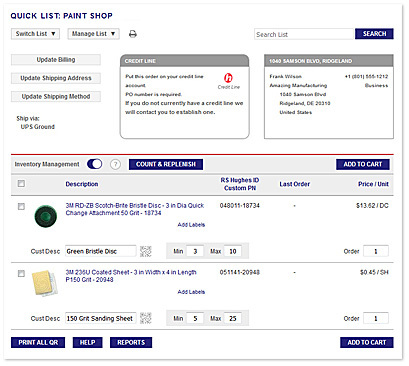 Track orders, manage your inventory levels, or let a dedicated R.S. 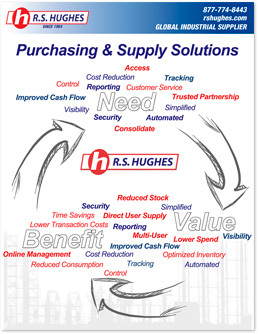 Hughes professional monitor & replenish your inventory for you so you can focus on your business. A web based reporting suite is included for full visibility, tracking & transparency. 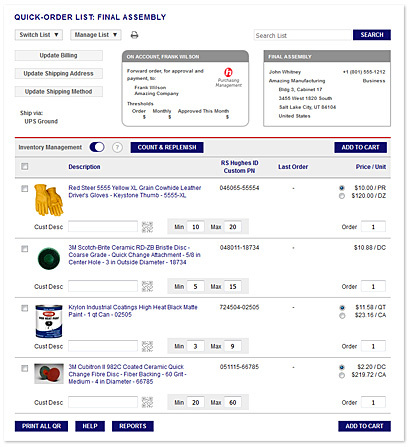 Our easy-to-use web interface allows you to streamline purchasing of supplies & control costs through a custom designed web experience. This puts you in the driver's seat for requisitioner approvals, budget management, order thresholds, and in-depth reporting. The R.S. Hughes Vend2Supply Industrial Vending Solution brings a secure, automated approach to your supply chain management with the greatest level of control, reporting & security. An R.S. Hughes Professional will contact you shortly.